-Canada’s first people’s including First Nations, Métis, and Inuit. -The historical and social significance of National Indigenous Peoples Day (NIPD) and the summer solstice. -Indigenous people in Ottawa and surrounding areas. -Cultural and historical significance of the different aspects of a Pow Wow. -Background on some of the NIPD performers that the students may encounter. -Indigenous craft workshops, including birch bark canoe crafting. -Métis fish scale art & drum making, as well as music workshops. -Fun, interactive Métis and Inuit games. 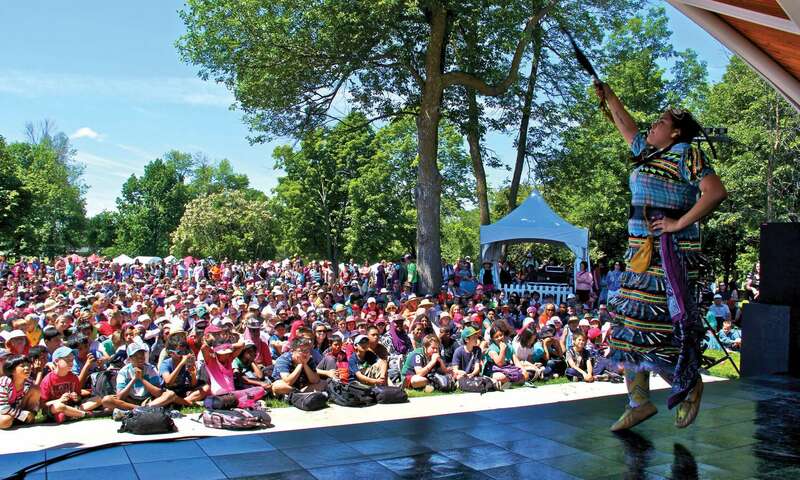 -Performances of traditional/contemporary Indigenous dancing and singing. -Extensive selection of authentic Indigenous craft and food vendors with traditional foods available.